Opposite what is now Lidl, across the London Road and behind Richardsons Electrical Shop, was Hadleigh’s first Fire Station. The garages, then with a corrugated iron roof, are still there. My uncle Ernie Allen was the captain; he was at Hadleigh all the war years. His son and his son-in-law served there. My father William Light was a volunteer Fireman in Hadleigh from approximately 1929 to 31, after which he became salaried. He received a long service medal in 1941. 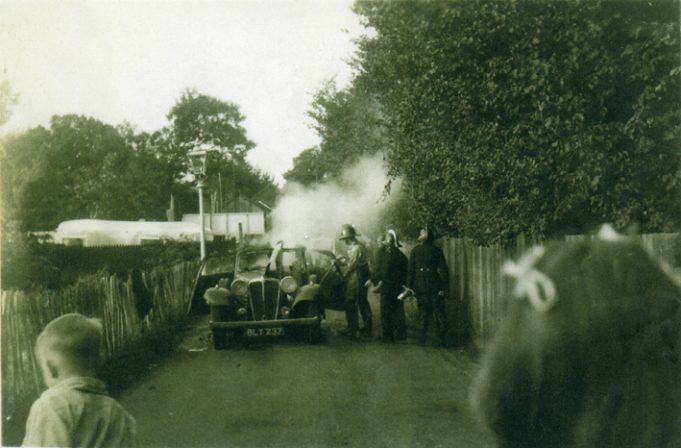 During WW2, his work included fire fighting and motorcycle dispatch riding in and around Hadleigh/Canvey and the dock area. Dad was known as Billy or Sonny by family and friends. He spoke of working with the Smith brothers and Billy Parsfield. He would have been 101 years old this year. 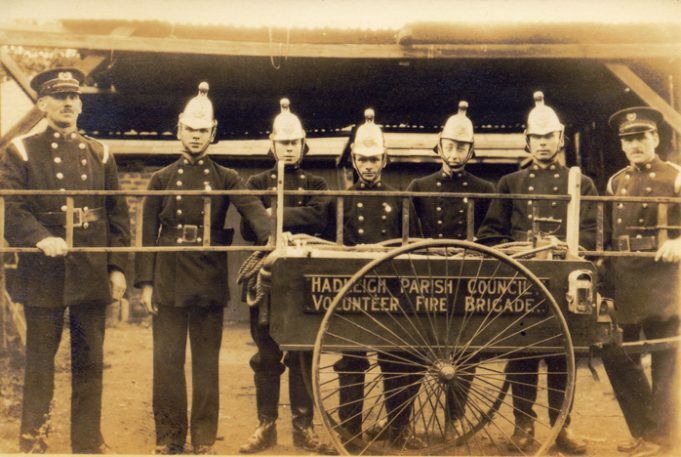 I have been led to understand that my great great grandfather was one of the first fireman in Hadleigh; his last name was Snow and I think he’s in St James the Less.